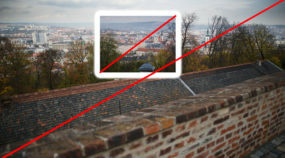 The phrase “crop factor” (also called “focal length multiplier” or “focal length magnification”) defines a sensor’s size relative to a frame of analog film. But do you know how it influences the way that photos from phones, compacts, and APS-C DSLR cameras look compared to photos from a full-frame camera? There are big differences in the focal length, lens speed, and sharpness.